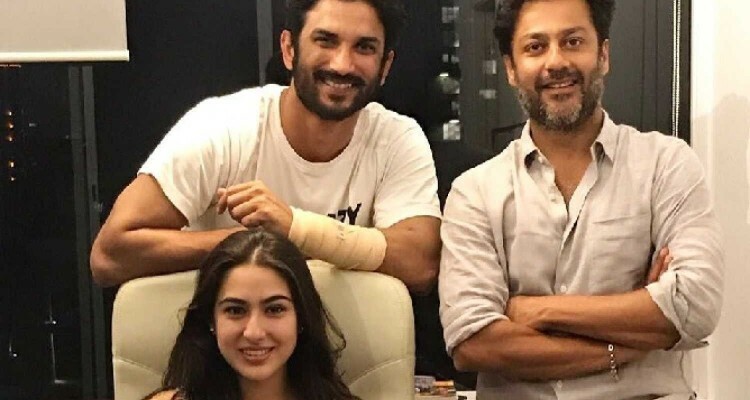 Abhishek Kapoor on his film that marks the Bollywood debut of Saif Ali Khan’s daughter Sara ahead of Rohit Shetty’s next. ■ So, Kedarnath is finally opening on December 7. Wasn’t the earlier plan to release it in March so you would have a few more months to work on the visual effects. I’ve always had to fight a little more than others because I pick on difficult subjects and so the struggle to make the film. Kedarnath has put me through a lot over the past months and I’m glad it finally has a release date. Earlier another film (Indra Kumar’s Total Dhamaal) was lined up for December 7 which usually is a crowded month. When that moved we decided to grab the slot and are working towards completing the VFXs on time. The creative team is working round the clock. ■ This means that Sara Ali Khan will finally be making her debut with Kedarnath and not Rohit Shetty’s Simmba on December 28. 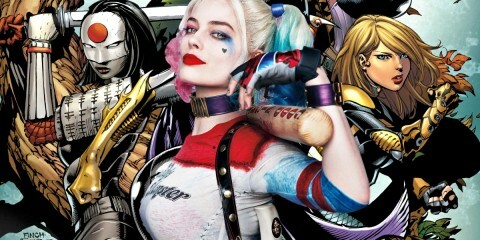 The idea of making this film was not to launch anyone. 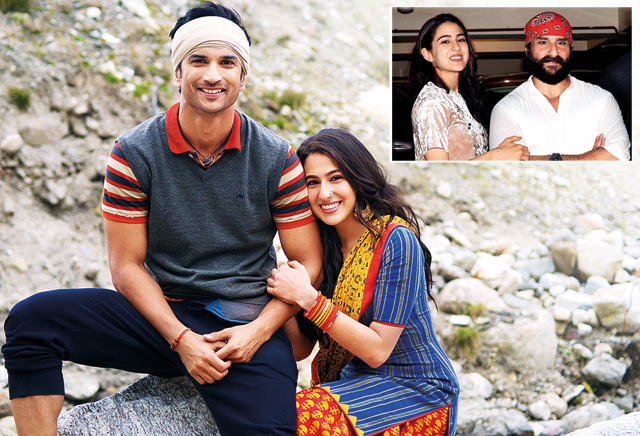 I wanted to make Kedarnath and Sara was perfect for the project. Which of her films would come first never bothered me, what was important is that my film gets a good release. ■ How has she reacted to the news? Sara is very happy, she’s given her best to the film. In fact, I was the one who called up Rohit and told him to consider Sara for his film after Kedarnath hit a rough patch with the earlier producer. I want Sara to be out there and do as much work as possible. So, when she mentioned that she would like to do Simmba, I connected with Rohit. But since I was launching her, he didn’t want to trespass. I assured him that I am not in the business of launching people, I’m here to make movies. ■ But you sent a notice to her talent management agency after they gave your dates to Simmba? The agency simply jumped to the conclusion that I would not be able to get out of the mess I was in and gave away my dates without discussing it with me even once. It was a slip-up from their side, our schedule was really tight and to resolve the matter, we had to move court. The purpose was not to fight but find an amicable solution which we did. ■ Reportedly, Sara’s father Saif Ali Khan had to step in to sort things out. As a parent I am sure he was concerned. But we spoke, and he understood that we both want Sara to do very well. She is his daughter and she is doing my film and for me it’s important that my actors are shining out there. Having said that, certain things had to be done in a certain way for a resolution to come out. We simply followed the procedure. ■ What’s his take on the new release date? I haven’t had a chance to speak to him after we decided on the date. ■ Did Saif ever offer to produce the film? ■ From Ekta Kapoor to Prernaa Arora and Ronnie Screwvala, the film has changed many hands. With every new producer, did the script also undergo subsequent changes? The script is sacrosanct, it didn’t change at all. I have to be true to my film, that’s my job. Irrespective of whether I go through a hurricane or a Tsunami, I have to carry the film from one end to the other. Kedarnath has gone through a yatra of its own and now finally everything is on course. ■ But is it still a viable project? I never went over-budget. In fact, Kedarnath is the quickest movie I have shot. It was wrapped up in just 59 days and is still a viable project. ■ How did you come up with the idea of making a film around the Kedarnath yatra? As a kid I used to go to Vaishno Devi very often with my parents. And in 2015, since I wanted to travel, I went to the Golden Temple in Amritsar first, and then on to Vaishno Devi. And what I saw on that journey grabbed my attention. I understood what our country is about and who we are as people. Politics and others issues are constantly dividing us but at the core we are one community that has always lived in harmony. Differences between Hindus and the Muslims only started around 40–50 years ago. It wasn’t there during the time of our elders, it wasn’t there during my yatra too. The film grew out of this realisation. Two years earlier, massive floods had ravaged Kedarnath. Taking that as a backdrop I tailored my Kedarnath. We do touch upon these issues in films but I wouldn’t wish to comment on the story at this point. ■ Did you visit the holy town? I had never been to Kedarnath before the floods, but I did go there to research the location and the people. People come to the temple with so much faith, you can feel the positive energy instantly. I met some babas who live in and mediate in the caves all year round. For them spirituality is all about selfrealisation and not commercialisation. Talking to them… sharing their silence… is a surreal experience. I hope the film reflects all that I felt there.